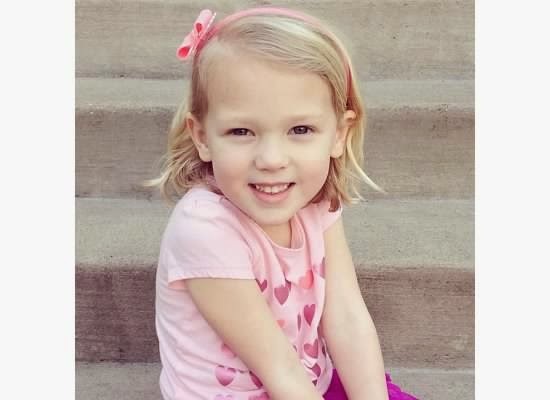 Abigail Mae is 5 1/2! She's just fabulous. At any given time you can find her dancing, singing, and acting. If she's not playing with Audrey, she's by herself doing these things or building with Legos, reading, or drawing. She's absolutely ROCKING kindergarten. She loves to tell us all about the math she's learning and the books they read. I get to see her on the playground and at lunch every day. On the playground she can be found on the monkey bars (can only do 2 bars, then she gets back up and waits in line again!) or climbing up the playground. Lately she's been more into chasing/being chased. She loves her friends and ADORES her sweet teacher. At the end of the day she comes into my classroom and my students love hanging out with her...although she mostly prefers to head out to the playground by herself :) I think she's like me in that way- once her school day is done, she needs some down time, lol. She played Fall soccer and takes dance class. I absolutely LOVE watching her in action. She does things her own way and I am so proud of her! She needs a book before bed every night and usually she reads to me. There's nothing better than hearing your baby read! She earned an amazing first report card, but more importantly she's flourishing socially and emotionally. 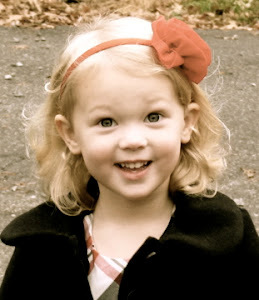 I get to see her at lunch and on the playground...I can't kiss and hug her enough! 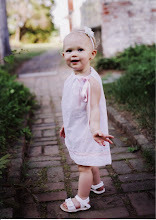 We love watching our darling girl learn and grow each day...I can't believe how fast the time has gone! Our sweet little lady!! While she talks and acts like she's 13, I look at her and see baby, baby, baby! She is such a ham!! And so, so sassy. I literally can't EVEN sometimes....she makes me smile so much my face hurts. She wakes between 6-7, usually singing SUPER LOUDLY or saying, "Mommy, oh mommy!" She's still in her crib because #lastchild. She lays down for a nap around 11-12, but I really think she's starting to give them up because 50% of the time she just plays and sings for a couple hours. Her pacis all "broke" a few months ago, but she HAS to have one in her bed. She lays it right on her pillow. Her blanket must be covering her entire bed (can we say OCD??) She goes to bed around 7 and she sleeps straight through the night. I must read her one "big book" AND one "tiny book." When I get to the last page of the tiny book, she tries to run off and escape but I catch her, give her kisses and tickles and then put her in bed. She sleeps with her ocean sounds on, and asks me to close the door "a libble dit" (= "a litle bit"...see? CAN'T. EVEN!!) Sometimes she'll call me back and say, "Wait! I tell you secret!" and then she'll whisper in my ear, "I love you!" And everything in my world is right. She's potty trained except for naps, night, and number 2. She goes to the bathroom by herself, but then she runs out half naked and throws her undies at you, lol. She is crazy sensitive. You cannot be upset with this girl...she gets teary and says, "I sorry, I sorry," until you comfort her...and even then she'll cry for a few minutes. Don't even think about snapping at her, or her sisters. She will say, "Don't be mean to my sisters!" Yet when she's mad at her sisters she'll say, "You're mean! Poppy Aud! Poopy Ab!" WHAT?!? If she's mad I'll ask her silly questions about how I should punish her sisters..."Should I put them in time out? Should I hang them upside down from the ceiling?" She always says no! She doesn't want anything bad happening to them. Also, if she really wants something she'll say, "Don't say no, that make my heart mad." Ummmmm, ok? I always take the time to put her back in place and usually she can deal. Lately she's been asking, "You ok, Mom?" just randomly. It is soooo sweet! She takes a tap/ballet class. First, those tiny tap shoes are the cutest.things.ever. Second, she just nails it! Definitely the youngest in her class but you could never tell. She follows every direction and is always on task. I wish I could stand at the door and watch her the whole time, but I have to take turns with the other parents ;) I just love watching her focus and interact with other adults and kids. She talks extremely well...I really marvel sometimes at the things that come out of her mouth so clearly. She likes to play with her sisters but can also hang independently. She loves Miss Staci, their whole family, their house, their dogs...honestly it is her second home, and what a special place it is- filled with even more special people. They pretty much claim her as their own. The other day we pulled up and two of the kids ran out to greet Annie and walk her up. I walked behind them and just took a moment to be so thankful that she is SO well cared for and loved. 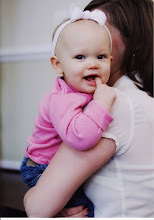 Miss Staci is always kissing her, hugging her, and telling her, "I love you!" I mean, honestly- we are so, so blessed to call them friends! I can't even put into words the love I have for this sweet baby. 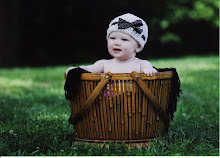 She is the most precious girl, the last baby...and we just adore her with everything we have! Audrey Catherine is 7 1/2! Ugh, it's so hard to believe. How is it that she'll be in second grade, the grade I taught for so many years? At one point it seemed like it would be FOREVER until she was in "my" grade level. I'm very proud when it comes to Audrey- she is bright, outgoing, creative, responsible, caring, and kind. She thrives in school, academically and socially. She was identified for gifted last year and really loved working in Focus this year. She made so many new friends, the sweetest kids ever. I loved visiting her at lunch every day and seeing her laughing and talking with everyone. She convinced me to dye her hair back in April. She'd been wanting to dye it forever...but there was no way I was using real dye, so we did Kool-Aid instead (and we waited until after Picture Day, lol.) I can't believe it's still in there! Her smile (although now with large, crooked teeth!) still lights up the room and is one of my most favorite things in the world. I just love that sweet face. She and Abby are best buds- they play all day together. I have to smile when I hear the things they come up with. The other day Audrey was following Abby around with my old iPhone, taking videos. Audrey was singing a song she made up..."Oh she's in the spotlight...she's just so beautiful..." as Abby was twirling and dancing like a superstar...I died. She'll complain if Abby doesn't play with her. 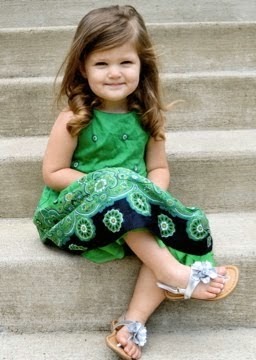 She claims to be done with skirts and dresses, although she'll wear them every once in awhile to appease me. 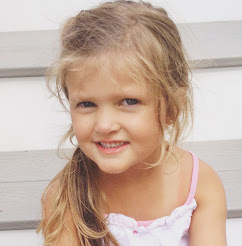 She does not want to take dance class this year; she wants to try soccer and gymnastics. She's a wonderful role model for her little sisters and the apple of our eyes. 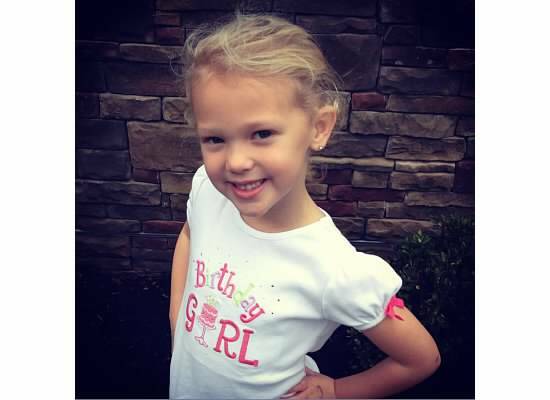 Before we know it, Little Miss Sunshine will be EIGHT!! Deciding to take the leap of faith and try Kinder was the best decision of my entire career, no joke. I remember how nervous I was to hit the "send" button on my email to my principal. I'm so glad I did...I've found my happy place. I could list hundreds of things I love about Kinder, but I'll stick to the highlights. Yes, 2nd graders are sweet and cute, but 5 years olds? Oh my- they still have baby faces and baby voices and I could just squeeze their sweet cheeks every day!! This age just captures my heart for so many reasons. The opportunity to work with beginning learners- even those who are above- is just awesome. There's something so incredible about starting on the ground floor and working up; their progress within a year is just astounding. Most of them came in knowing some of their letter sounds and now they are freaking READING. When it comes to math I love teaching them the basics (counting, writing numbers) versus double digit subtraction. When I taught upper grades it was so, so challenging to work with students who had been struggling years before they got to me. They made progress, but they were still behind their peers come end of year. It was discouraging. 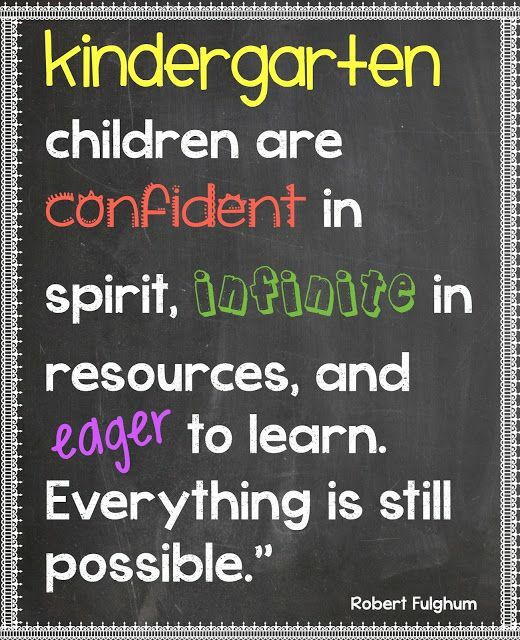 Know I know how vital their early learning is to their success in later grades. I have HELP!! And she is amazing- she's there to support in every way-in any way- I need. For one, just having an extra body in the classroom is a GODSEND. Someone to tie shoes, answer questions, help with crafts, manage behavior...the list is seriously endless. I wish every elementary teacher could have a para. I share her with another Kinder teacher, and it just works beautifully. 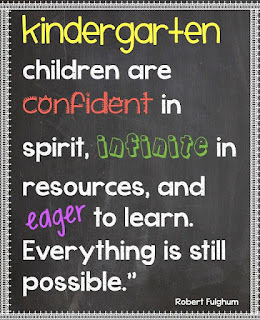 Kinder still has testing, but it's very minimal. Grading is just a breeze compared to upper. A BREEZE. NONE. I don't like homework. I hate how it encroaches on home time. In the upper grades I tried to make it easier on families by having weekly packets that weren't due until Friday. This year I only asked that they read 20 minutes each night. I only sent packets home for expected Snow Days (not required work, just for fun.) I also sent website links and made accounts for ABC Mouse so they could have the extra practice if they wanted. Next year I think I'll send home monthly homework packets, because I've realized that parents AND the kids actually like doing them (at their leisure.) The kids especially are so cute when they realize they can "do work," if that makes any sense? Just another reason I love this age. My para helped me with this- singing really helps them learn. It seems so simple, but honestly, we just never did it very much in 2nd grade. From phonics songs on YouTube, to chants and rhymes we use daily...singing is a huge part of Kinder and I loooooove that. It was weird having Audrey be older than my students for once! Although she's still shorter than most of them, lol. Coming from an end of the year 2nd grade mindset to beginning of the year Kinders was an eye opener. I expected them to be doing waaaaay more than they were capable of. Some of them couldn't even write their name. Culture shock for sure. I know I'll feel it again come September, especially given the growth they made this year alone. While teaching is not easy, I definitely felt more at ease this year because it was overall more enjoyable. It always comes down to the kids- they are truly the reason I love my job! I'm looking forward to spending the rest of my teaching years in Kindergarten (maybe even looping up with a special class or two?) When you are blessed to spend your days with children, they become apart of your heart. This was an amazing year and I'm looking forward to many more! Oh, that face...I am totally in love with this beauty! She is beautiful inside and out. She melts our hearts with the kindness she shows her little sister. She's constantly trying to give Annie things, or trying to make her happy. I think she's very good with younger kids; she really likes being the role model/teacher. She is quick and witty. So often I find myself repeating what she said to Chris because she's just so funny. I love how she uses large words. I get one on one time with her in the morning...she's back to being the early riser and I love hearing her little footsteps making their way down the stairs. Other than that, Audrey usually steals her away the rest of the day, lol. She and Audrey are best friends. They play together all the time. Recently Abby had a sleepover at Grandma's and Audrey didn't know what to do with herself, lol. They play school, dress up, and just have so many adventures together. I dread the day Audrey outgrows these things. It makes me feel better to know Abigail will have Annie to play with, but there is something so special about Audrey and Abigail's relationship. I hope they stay close as they grow older. She's a great helper. She unloads the dishwasher and moves clothes from the washer to the dryer. She "cleans" her room. She's SO ready for kindergarten. She knows & writes her letters and sounds and can count (but she CANNOT say 13! She says,"eleven, twelve, firteen, fourteen..."...that "th" digraph is impossible for her, lol!!) I was scoring my students' spelling assessment and she asked if she could do one. I called out the 5 words and watched in amazement as she carefully sounded out each word. The first 3 words she got the beginning and ending sounds...she spelled the last 2 words perfectly! In Kindergarten she will definitely need to be challenged while having opportunity to express her creativity. She is so theatrical. She likes to act and sing. The world is her stage! I hope she keeps that confidence her entire life. She's highly sensitive. We definitely have to take a different approach when disciplining her. She needs comfort and calmness, something I'm trying really hard to remember (when she loses her cool, I lose mine!) I just do not understand her rush to cry, whine, and complain the moment something displeases her. Chris is way more empathetic. I want to be better for her. 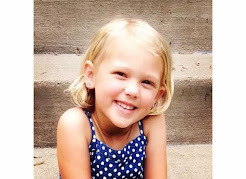 I am not trying to rush her to grow up, but I seriously cannot wait to see her in the halls at school so I can kiss that beautiful face every time I see it! 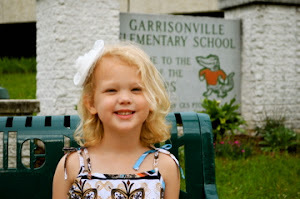 I love that she has had her own time in preschool, with her own friends and teachers and experiences. That is so important. It's given her a sense of independence that she definitely needed. I like that we all do our own things during the day, then come together to talk and reflect and laugh...there's a lot of teachable moments that come out of those times. It's something I know will be vital as they get older and go through middle and high school. She fascinates me every day. 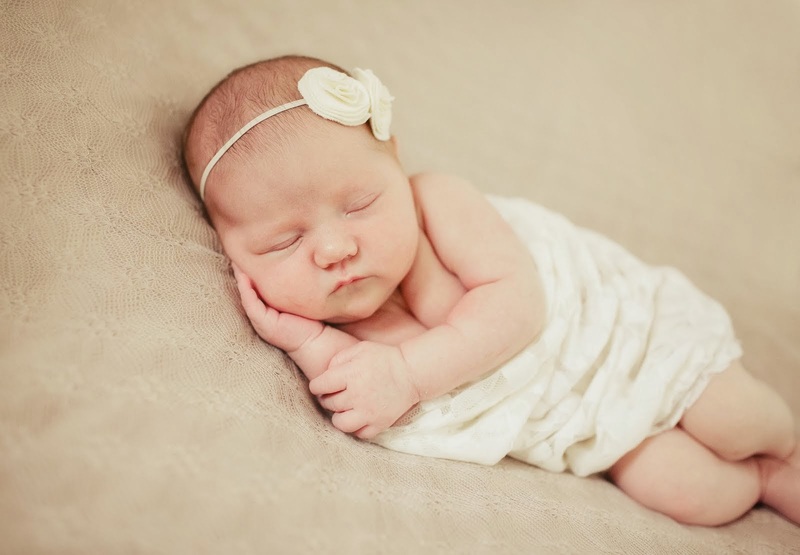 I still can't believe how much my heart expanded on the day she was born. 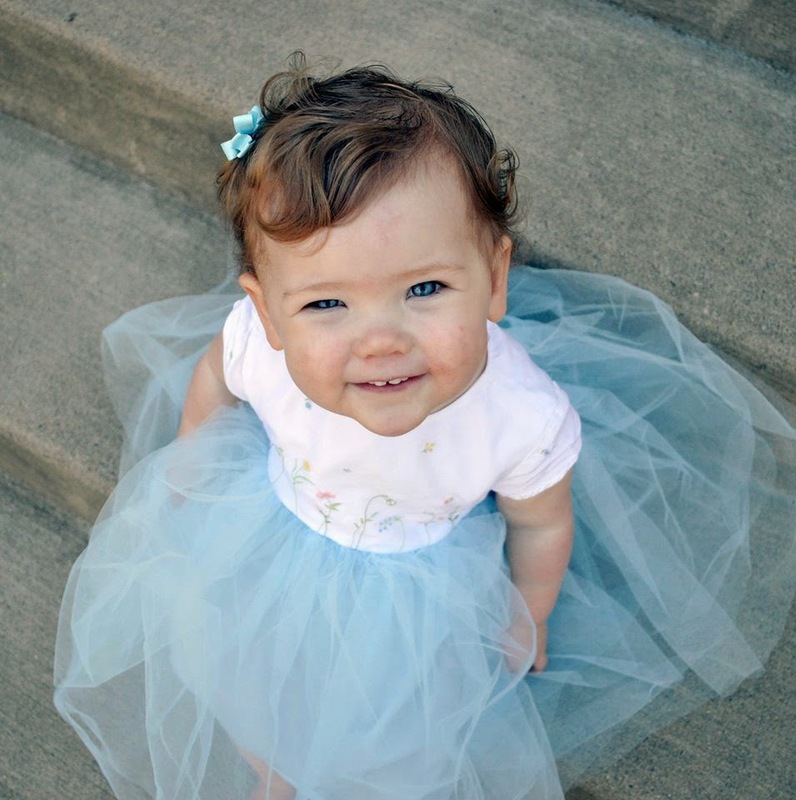 She's our little buttercup!! 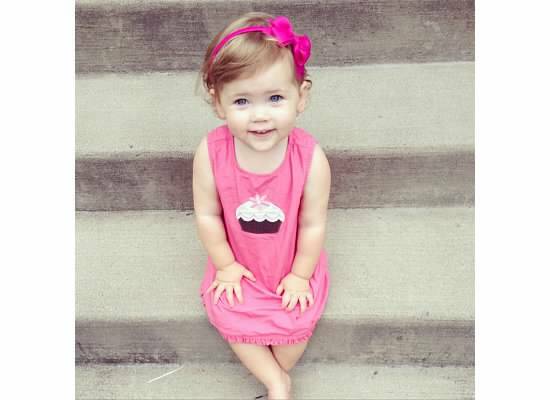 Anne Elizabeth is two and a half! 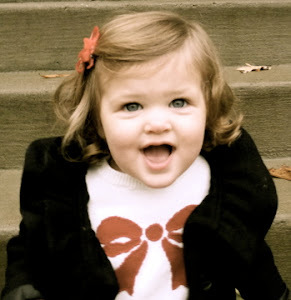 This baby may be in the middle of the Terrible Twos...but she's so terrifically wonderful at the same time! And so darn CUTE. Terrific: Annie is very much the clown. She is SO silly and loves to make us laugh. She always has to announce, "I farted!" Terrible: She thinks it's hilarious when she gets to flush the toilet- she looks at me and says, "Hahd, ha, I did it...nah nah nah boo boo!" What?! And sometimes, when she "apologizes", she says it very sarcastically: "Sor-ray!" Terrific: She's the best sleeper. Goes to bed around 7, wakes around 6. Takes a great 2+ hour nap. I put her down wide awake and she slowly puts herself to sleep. I've gone into her room to check on her and many times she'll just be laying there, smiling and dozing off. Terrific: she has so much of her baby squishiness left. She gets countless kisses and squeezes every day! Terrible: She gets awful eczema flare ups. 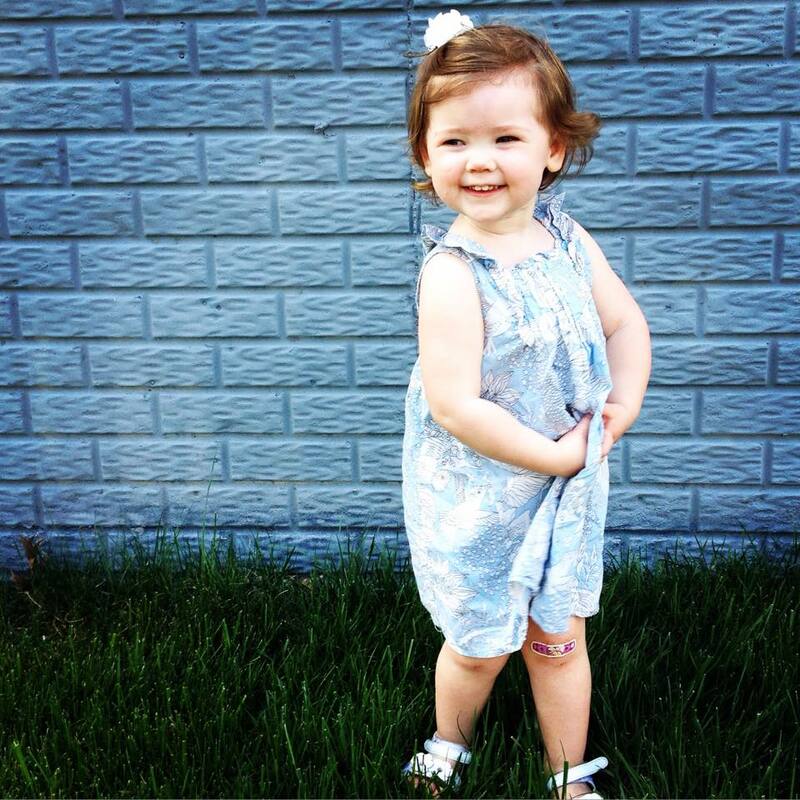 I'm ready for warmer weather where she can wear dresses that don't constantly rub the sensitive spots on her skin. Terrific: She is potty trained except at night and during naps. Terrific: Her favorite song is Roar by Katy Perry. She wants it played again and again in the van. It's hysterical to watch her sing with such passion. I love listening to her sing it when she's waiting for us to get her out of bed in the morning. Terrible: "I don't want/like it!" and she definitely yells when she's mad, even when you can't understand her. I'll look at her and say, "You talk nicely, do not yell," THAT really upsets her. Terrific: She likes to act like a puppy or a kitten. She'll crawl around making sounds and rubbing or pawing against my leg. Terrible: When she gets mad she'll hit her sisters and yell. When she gets in trouble she'll cry uncontrollably, her feelings are SO hurt, you can just see it in her eyes. She's very sensitive about getting in trouble. I can see some stubborness in her. Terrific: She is so polite, she says, "Thank you!" all the time. It sounds like "shay shoo," LOL!! Terrible: On the flip side, if something irritates her she'll yell, "Stop it!" I can usually get her to say, "Please, stop." Terrific: She is SUPER independent and wants to do everything by herself. She is so good at taking off her own shirts and nightgowns. She gets the proudest look on her face as she wiggles out of them! I can tell her to go put her shoes on...and she DOES. I'm still trying to get the big girls to do that, lol. Terrible: She is SUPER independent and wants to do EVERYTHING by herself. Which takes forever sometimes. She wants to do her own car seat buckle. She wants to brush her own teeth after I do. I swear. I look at her and my heart swells. I SO want to keep her this age for much, much longer. The teriffics outshine the terribles for sure. As much as I don't want her to grow so fast, I cannot wait to see how her little personality develops. We love our sweet Annie baby.